Jerez, or more formally Jerez de la Frontera, is an inland town in the province of Cadiz known as the home of Sherry, the cradle of the spirited flamenco, and the capital of Andalucia’s horse culture. 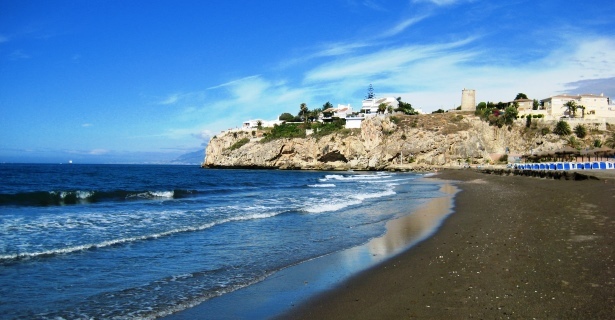 Its location on the southern tip of Spain affords travellers by Jerez motorhome rental, campervan hire or RV rentals in Spain a choice whether to explore the satellite of attractions in the Iberian peninsula, or cross the Strait of Gibraltar and venture into the more exotic land of Africa with Morocco as the starting point. The coastline of Cadiz and Huelva, Costa de la Luz, is a 30 to 120 minute-drive in your campervan rental in Jerez. Modestly developed and a world away from the ‘Costa del Chaos’ of Andalucia’s Mediterranean coast, Costa de la Luz is where the locals hangout in its broad white sand beaches backed by sand dunes and fringed by pine trees. Costa de la Luz melds with the coastal city of Cadiz in the southwest, stretching to Gibraltar and then on to the Costa del Sol with the jet-set haunt of Marbella and Malaga. In the central part of the region you have the richly cultural and historic cities of tourist magnets Granada, Jaén, Cordoba and Seville, all within a four-hour drive by Jerez motorhome rental. A half hour-drive to the south in your motorhome hire in Jerez brings you to the Cadiz district which is renowned for its quaint villages lined with white painted houses. The city of Cadiz itself is one of the oldest in the West and part of its history included the monopoly on sea trade in the 17th century, attracting raids by pirates resulting to the construction of strongholds and watchtowers on the roofs of every home. Going along the coast eastwards, your Jerez motorhome rental will enable you to spend the day at culinary schools near Vejer de la Frontera where you can learn about traditional Andalusian cooking and lifestyles built around sea food, sherry and Moorish-influenced spices and sweet pastries. Travelling north in your campervan hire or RV rentals you will come to Seville an hour out, home to the largest cathedral in the world. If you haven’t watched impassioned flamenco dancers stomping to the lilting songs back in Jerez, you can catch a cultural show here, along with that very Andalusian entertainment of bullfighting. Continuing north by camper hire in Jerez you come to Cordoba which is home to the Mezquita. The Mezquita was a mosque that was built using the pillars of a Roman Temple and took two centuries to complete. In 1236 the Spanish built a nave in the middle of the mosque and as it was then frequently used as a Cathedral, it was saved from destruction by the Inquisition. Visitors still marvel at the forest of columns used and the size and beauty of the building’s patio. tourist attractions and has a total of five separate car parks. The popularity of this destination means that at the height of the season, tickets are sold out early but with your campervan hire in Jerez, you will be able to get there in advance of the crowds and not worry about accommodation so you can focus more on enjoying your Andalusian adventure.